Advanced Construction Technology Services (ACTS) said it has started a large-scale quality control and testing operation at Kuwait International Airport's new terminal project with a hi-tech laboratory spanning over 280 sq m, another 1,000 sq m for curing, offices and storage area in addition to a team of more than 50 engineers, concrete technologists, inspectors and technicians. A leading consulting organisation in the field of building materials and geotechnical engineering, ACTS is handling all the materials testing scope, ranging from soil and aggregate to concrete and steel. As per the deal, it is also undertaking a concrete quality control engineering (CQCE) programme where a team of ACTS specialised engineers and concrete technologists, in collaboration with the quality control team of the contractor Limak, are overseeing the preplacement, placement and postplacement of concrete, ensuring effective and smooth concreting practices. On completion, the new terminal of Kuwait International Airport is set to accommodate 13 million passengers per year in the first phase with a gradual increase of up to 50 million passengers with future developments, said the statement. The new terminal features three symmetrical wings of departures gates, consisting of the new passengers terminal development, a third runway and the renovation of the two existing runways. According to ACTS, the facades span 1.2 km and extend from a dramatic 25-m-high central space with a roof that filters daylight and deflect solar radiation since it is located in one of the hottest climate zones on Earth. The project designer is Foster and Partners. 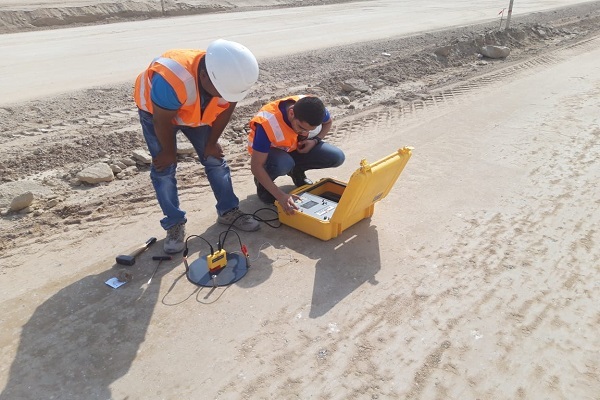 Kayihan Bagdatli, the country manager at Limak Kuwait, said: “We are glad to work with ACTS on the Kuwait International Airport as they demonstrate their deep knowledge in materials engineering and testing." "We selected ACTS for the quality control and testing programme after a thorough consideration of their capabilities and expertise in large-scale projects. Till date, they are well standing up to their reputation," he stated. The new terminal project is targeting Leed (Leadership in Energy and Environmental Design) Gold certification and aim to become the world’s first airport to attain this level of environmental accreditation. ACTS chairman Khaled Awad said: "The Kuwait International Airport contract win reflects the market recognition of our unique expertise in large scale projects." "Besides, the King Abdul Aziz Airport project and the Kingdom Tower in Jeddah, the Riyadh Metro project, the various stadiums and metro lines in Doha, Qatar, we are also proud to be involved with Limak on the Kuwait International Airport, one of the most iconic infrastructure projects in the region," remarked Awad, who is also a past president of the American Concrete Institute (ACI).